We received our agricultural sales and use tax exemption ID! Hooray! That will help tremendously with the purchases we have to make in the coming year for structures, (fencing, goat shelter) animal feed, timber and brush clearing, and all of our seed and such. 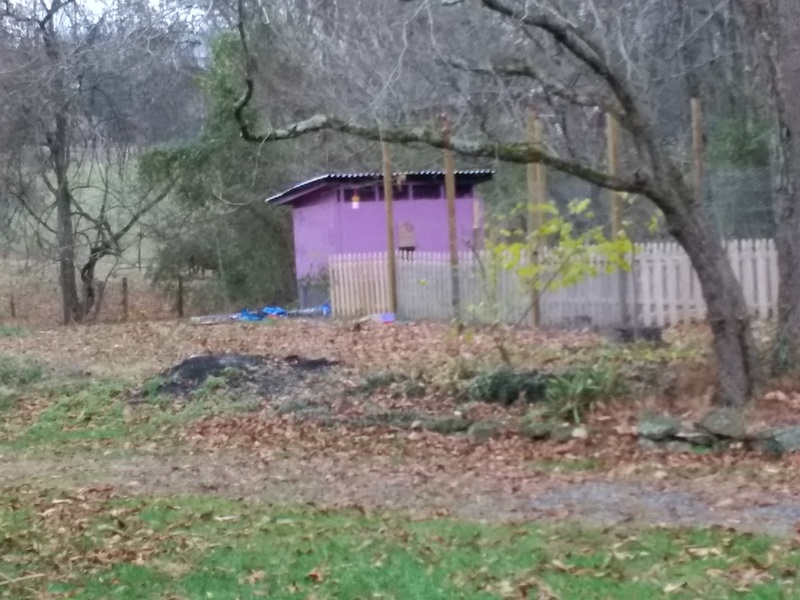 What I would like to do is share with you how we went about setting up our homestead business in hopes that it can help you on your own journey. First things first… Why set up a homestead business? Because farming costs money. Simple as that. It also costs time and labor. As with any other job, in order to do it and do it well, it takes tremendous commitment and diligence to make it worthwhile and profitable. Initially all we wanted from our land was to produce enough of our own food to feed our family for a year without the outrageous cost of groceries we currently are dealing with. That’s still our ultimate goal. But we were finding that unlike generational farmers who inherited land and livestock from their fathers before, we were going to have to start from scratch. And scratch (do people still call cash scratch?) is what we needed. So, in order to get things going without taking on a loan and more debt, we decided to start with an enterprise that can quickly put some cash back into our pockets; that’s how we arrived at market gardening and what I’ve termed our 5 D’s of homesteading business. Determining business structure- first before you can file as a tax-exempt agricultural business, you have to meet a few requirements. For us, that meant either proving an income of at least $1000 annually from our farming, OR, because we were just getting started, we simply had to provide a detailed business plan with our entity’s name, projected income, amount of acerage under cultivation, livestock/ produce raised, and marketing strategy. This step took the longest, though it was relatively simple. We set our business up as a marital joint ownership enterprise and because our first year’s projected income is less than $10,000, we were advised against establishing as an LLC and jumping through all those red-tape laden hoops. I recommend going to your local farmer’s co-op for details on filing for agricultural tax exemption as the lady at ours knew far more about the steps to the process. Our banker was helpful in leading us in the establishment of specific financial goals. I recommend meeting with your banker or accountant to discuss financial goals and tax implications prior to launching your business. And if all else fails, Google it. Most, if not all, states have the necessary paperwork available for download on their websites; it’s just a matter of finding it. For example, for Tennessee, you register not through the department of agriculture, but the department of revenue. Doing the legwork (market research)- this step was essential in establishing our business structure and developing a marketing strategy. We dug in to the details of who was selling produce near us, what they grew, how they grew it, what it sold for, their target markets, their relationships with local restaurants and businesses, etc. This step was also time consuming, but as a consumer myself, I was already familiar with several of the farms who sell at the farmer’s markets in our area and I was able to determine what we could bring to the table that wasn’t already there, and make sure we were doing it in a unique way. As of right now, we are the only Back to Eden style garden raising produce without absolutely any chemicals or fertilizers. Everything we use to amend the soil comes directly from our own property, and is straight out of nature. That makes us unique. And that makes our farm profitable. Developing a business plan- this step is crucial if you’re going to understand exactly how and what you plan to do with your business, both in the long and short term. It was also required by the department of revenue as part of our agricultural exemption application. Establishing a clear structure, division of labor, and precise goals helps to bring focus and strategy to your overall plan. Where do you hope to be at the end of year one? Year 3? Year 5? This sort of thinking helps you prioritize what needs to happen first and which goals you work toward in the short term and which ones you save for the long term. If you aren’t exactly sure what goes into a business plan, templates like this one are available online to guide you through writing your own. Displaying your business (marketing)- who is your target market? What and to whom are you trying to sell? This is what you have to know before you begin marketing. For us, we’re focusing on culinary produce and herbs for our first year: strawberries, cilantro, corriander, basil, sage, rosemary, thyme, oregano, garlic, onions, mushrooms etc. Try to focus on growing crops that produce high volume and grow easily and sustainably in your area. Eventually we would like to have some meat and dairy production so our logo reflects our overarching goals and homesteading identity. 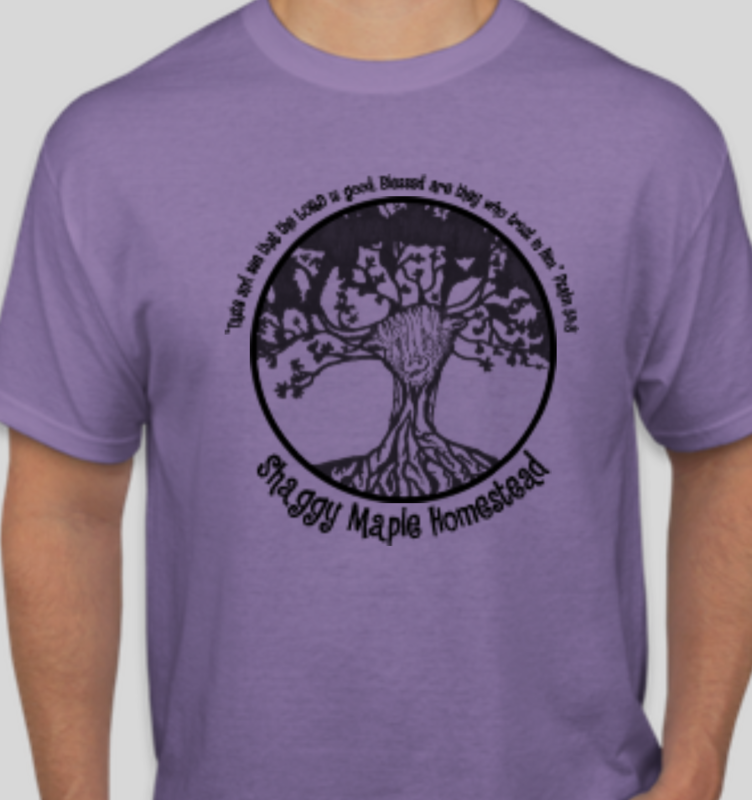 For example: we are Shaggy Maple Homestead- shaggy for the breeds of livestock we want to raise, and maple because we have several large maple trees on the property, one specifically which was the template for our logo. Our business cards are purple like our chicken coop! I’ve explained my reasoning for that here, but tying all the little things about your homestead together helps to create a memorable identity in the minds of your customers. Deriving an income- now the fun part begins. You take all the time you planned, prepared, sowed and waited and you reap a harvest by selling your produce, products, or services. In running a business, it is wise to maintain a separate account from your personal checking and savings. This ensures all revenue from your business stays unentangled from your regular income/expenditures and it will help you guage your business strength, and financial viability. Don’t forget to budget for your business. What is your overhead? What amount goes back into structures, tools, seed, soil improvements? And labor costs- do not forget to pay yourself! And in the event you hire on additional help, their income has to be accounted for with all the necessary tax documents related to the employer/employee relationship specific to your business scope and structure (think w9s, w10s, etc.) At the end of the year, you want to be able to guage exactly how your business performed through the year and what needs improvement or what can stay the same. Tax time is an excellent time to reassess your financial goals and achievements and to make adjustments where needed. So as you seek to get started in your own homestead adventure, these are definitely some things to consider.